One silver lining in the New York Times story about crippling overcrowding at the hospitals that stayed open following Hurricane Sandy: It’s been quite the moneymaker. 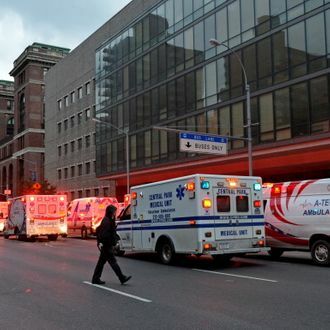 “On the Upper East Side, the storm has helped Lenox Hill Hospital, which has a history of financial problems. It took two or three wards that had been turned into offices and converted them back to space for patients. Emergency room visits are up 10 percent, and surgery has been expanded to seven days a week from five.” That’s good for the hospital, but patients waiting days for a bed no doubt miss the likes of Bellevue, Coney Island, NYU Langone, and VA New York Harbor Healthcare System.